Audio Conversions - How to convert DSS to MP3, WAV, WMA, M4A on Mac or Windows? Convert, cut, merge or split DSS to popular audio formats at high speed. How to play DSS audio file? If you have some Digital Speech Standard (DSS) files, you may have issue in playing such format. Which player is compatible with DSS audio file? How to play DSS with QuickTime, iTunes or Windows Media player? How to transfer DSS to portable media devices, such as iPhone, iPad, Android smart phone or tablets? If you have any of the above issues, you come to the right place. In this guide, we will show you a helpful tool which can make the DSS playable on most players and media devices. DSS made by digital voice recorders is highly compressed format for storing voice audio data and widely used for speech and digital dictation. However, DSS format can't be played by most players. If you want to edit or play DSS files on either QuickTIme or iTunes etc, converting DSS to MP3 or DSS to WAV file with an audio converter is necessary. Bigasoft Audio Converter is a highly recommended DSS to MP3 converter which helps to convert DSS files to MP3, WAV, M4A, WMA, OGG, 3GA and other formats. Besides, you can also merge, cut or split DSS audio files and increase volume, adjust sample rate, bitrate and other settings with this all-in-one Audio Converter. 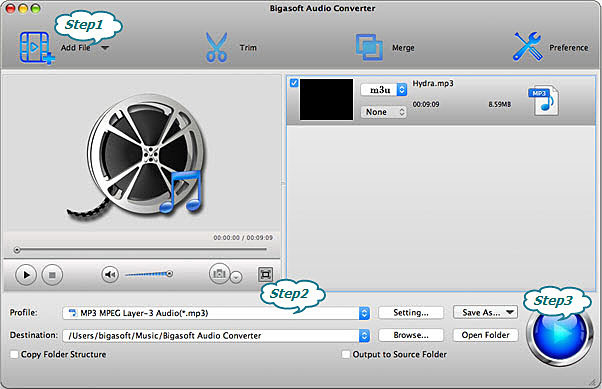 Free download Bigasoft Audio Converter, install and run it. Bigasoft tools is totally clean and safe and fully compatible with the latest OS, including Windows 10 and Mac OS X 10. 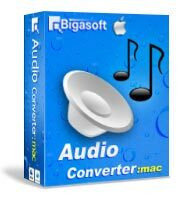 Launch Bigasoft Audio Converter on your computer. Locate and choose your DSS files which you want to convert to MP3 by Add Files button on the top of the main interface, or drag and drop your DSS files to the main interface. Click "Profile" drop down menu to select "MP3 MPEG Layer-3 Audio (*.mp3)" from the "General Audio" category. If you prefer to play DSS audio with Windows Media Player, just choose WAV or WMA format. What's more, you can increase audio volume and split audio easily with this DSS Converter. Besides converting DSS to MP3, Bigasoft Audio Converter helps to convert between almost all audio formats, including OPUS, MP3, WAV, FLAC, WMA, M4A, M4B, MKA, RA, RAM, APE, AUD, AIFF, AIFC, CAF, MPC, QCP, VOC, VOX, etc. Download and try other key features!